A Hartford Department of Public Works employee is suing the city, claiming a city council aide harassed him repeatedly. Kenneth Blue, who filed the 21-page lawsuit in federal court on Monday, said the Hartford City Council needs to take action against aide Kelly Kirkley-Bey. He believes that she should be fired from her job. Blue, a supervisor for the city's DPW, was flanked by his attorney outside federal court in Hartford Monday after filing a lawsuit against the city of Hartford, two city councilors and Kirkley-Bey. Blue claims Kirkley-Bey repeatedly harassed him. The lawsuit alleges Blue's civil rights are being violated; specifically, his right to be free from workplace harassment and sexual harassment. Blue claims he was sexually assaulted by Kirkley-Bey on February 3, 2017. He accused her of “unwelcome, inappropriate physical contact” including an unsolicited hug, attempts to kiss him and a smack on his rear end, according to city documents obtained by the NBC Connecticut Troubleshooters. Blue said Kirkley-Bey also used racial epithets in attempts to discredit and humiliate him. More than a year later, the council aide still has her city job. "Nothing has happened," said Blue. "It seems like it's just swept under the rug." 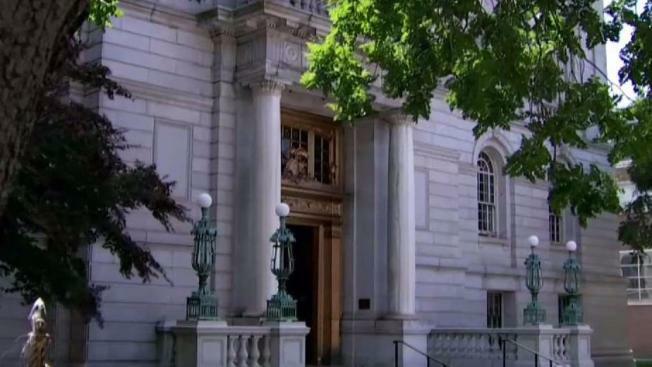 Because Hartford's corporation counsel provides legal advice to the city council and its staff, an outside law firm was brought in to investigate. Corporation Counsel Howard Rifkin said the findings of that investigation led his office in June 2017 to recommend "immediate termination" of Kirkley-Bey's employment, but such disciplinary action is up to the city council itself. "The city of Hartford has refused to terminate Ms. Kirkley-Bey," said DeVaughn Ward, Blue's attorney. "She still remains employed with the city of Hartford." Kirkley-Bey is the appointed aide of Councilwoman Jo Winch. Winch and Councilman Thomas “TJ” Clarke II, who was council president at the time, are also named in the lawsuit. "I spoke to the council president a couple times. He said he would handle the situation and it never happened," said Blue. Blue said he will not feel comfortable at his job until Kirkley-Bey no longer has hers. "If it was me in her shoes, I'd a lost my job a long time ago," Blue said. The corporation counsel's office said it doesn't comment on ongoing litigation. The NBC Connecticut Troubleshooters reached out to those named in the lawsuit - the two council members and council aide Kirkley-Bey - but were referred to attorney John Kennelly, who has yet to respond to a request for comment.